Examples, videos, stories, and songs to help Grade 3 students learn about adverbs with fun and songs. An adverb describes a verb, an adjective or another adverb. It tells how, when, how much and how often. 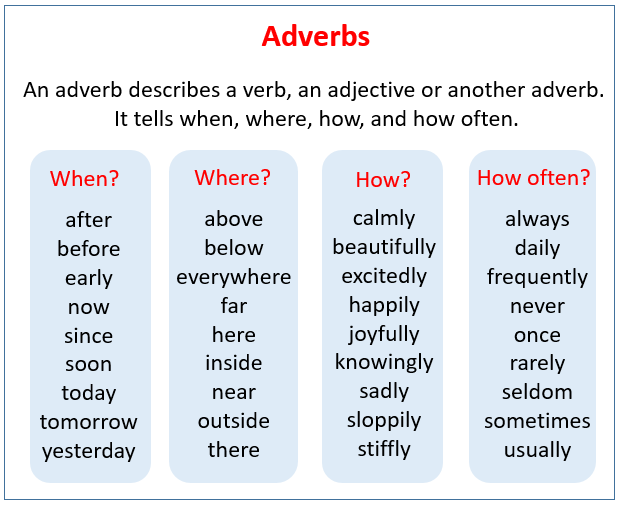 The following table gives some examples of adverbs. Scroll down the page for more examples and explanations.